Always, on Easter, we make a large casserole and bring it to sunrise service to share with our fellow early risers to have a wonderful Easter breakfast. 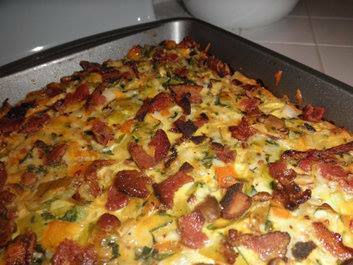 Now this recipe is a step up from the safe Bacon, egg, cheese, and bread casserole. Try it, you'll like it!